A beautiful house style Newyorkino, We provide comfort for our customers. It has 7 bedrooms, (among these we can find a suite and a Master suite which has a hydro spa relaxing Jacuzzi), 2 rooms and other areas that can be joined up to 40 people, we have a Disco area -Karaoke and a private patio with pool and a balcony. We also hold events (Small), which meets all of our clients' expectations (weddings, birthdays, dinners, etc.). 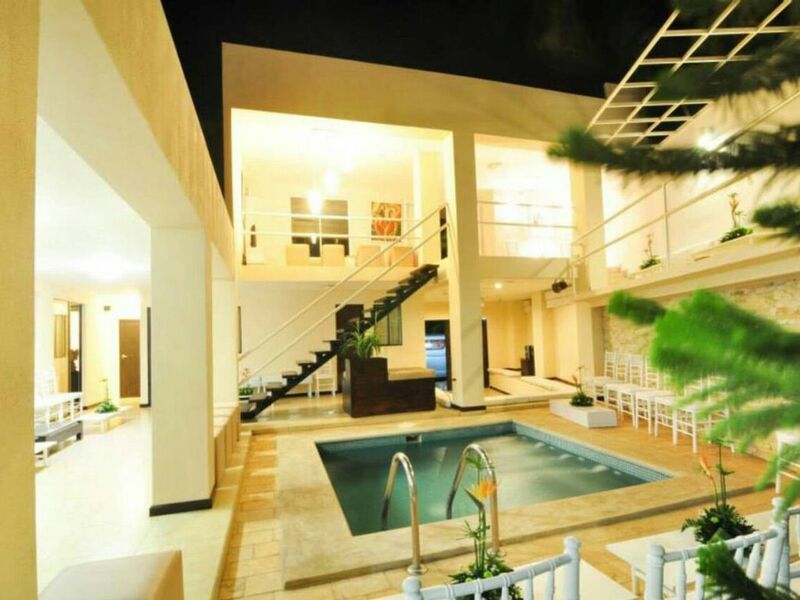 We are located in a residential area, which is very close to different tourist attractions, among them we can find the Masaya volcano, one of the best destinations in the country and internationally recognized as visitors are fascinated by the experience and we are also close to the best restaurants which have between 3 to 4.5 qualifying holders.